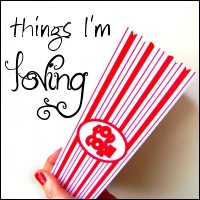 Following Paisley Jade, I am doing today a "Things I'm loving" post. So, here we go! Going out with my little man on warm days. Fresh rolls - that I am happy to make and eat. Eating one of my favorite chocolate after it has been in the fridge chillin' for awhile. Crocheting granny squares - loving it! Wow - loving EVERYTHING you listed!! Love to colours in the granny square! Gorgeous. Those are some very cool things to be loving. I've only just discovered the joys of that chocolate (having been addicted to the little balls for years), but haven't tried it chilled - yet! I love the look of those fresh rolls - that's definitely something I need to learn how to do - yum! Oh lindor is my favourite chocolate too! !